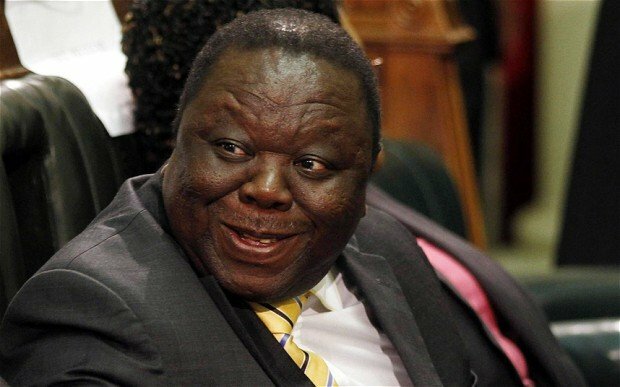 Home Tags Posts tagged with "Zimbabwe"
Zimbabwe’s opposition leader Morgan Tsvangirai has died in South Africa, his MDC (Movement for Democratic Change) party has announced. 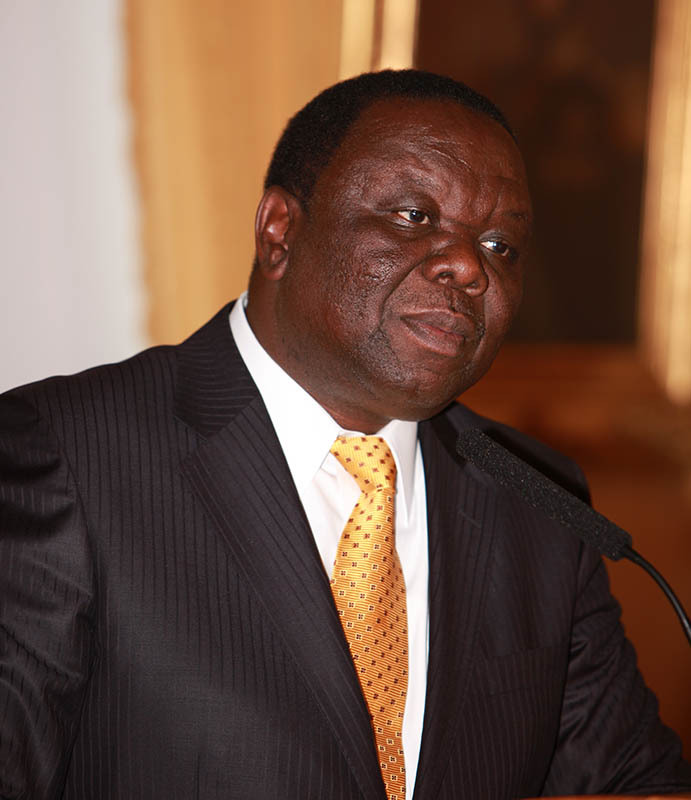 Morgan Tsvangirai, 65, a former prime minister, had reportedly been suffering from colon cancer. Morgan Tsvangirai’s career was marked by a long political struggle against former President Robert Mugabe. The opposition leader had been beaten and imprisoned numerous times. Announcing Morgan Tsvangirai’s death, Elias Mudzuri tweeted that the MDC had “lost our icon and fighter for democracy”. Morgan Tsvangirai founded the MDC in 2000, repeatedly challenging Robert Mugabe during the ex-president’s long grip on power. In the 2008 election, Morgan Tsvangirai gained the most votes in the first round but not enough to win outright. Before the second round of voting, Robert Mugabe’s security forces carried out a campaign of violence against opposition supporters, and Morgan Tsvangirai withdrew. Robert Mugabe was declared the winner, but an international outcry over allegations of violence and vote-rigging led to a power sharing agreement in which Morgan Tsvangirai would serve as prime minister. Morgan Tsvangirai ran against Robert Mugabe again in 2013 but lost by a landslide. The MDC is said to be divided over who should lead it into elections later this year against the governing Zanu-PF party, led by Robert Mugabe’s successor, Emmerson Mnangagwa. 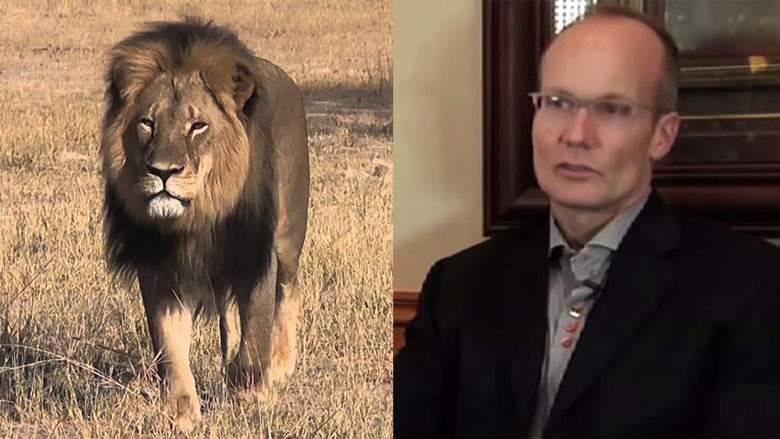 A high court in Zimbabwe court has dropped charges against Theo Bronkhorst , the professional hunter alleged to have helped American dentist Walter Palmer to kill Cecil the lion. 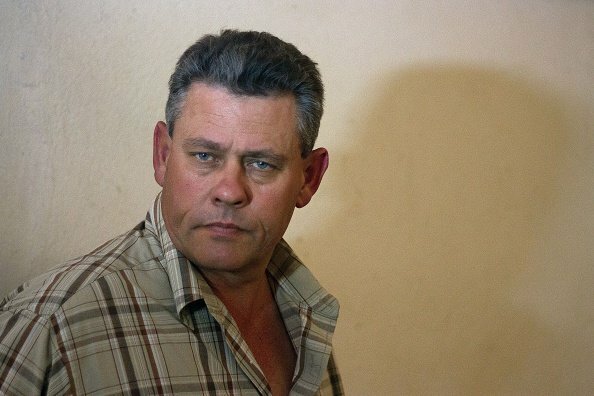 The court ruled that the charges against Theo Bronkhorst “were too vague to enable to him to mount a proper defense”. Walter Palmer, who killed Cecil the lion last year, was not charged. The famed lion – a favorite at Hwange National Park – was shot by Walter Palmer with a bow and arrow. Walter Palmer is said to have paid about $50,000 to hunt the lion. Cecil’s killing sparked international outrage, and prompted a global campaign to end lion trophy hunting. Theo Bronkhorst said in court that he had obtained all the permits required to kill an elderly lion that was outside the national park boundaries. Cecil the lion attracted photographic safaris and was part of an Oxford research project into lions at the Hwange National Park. 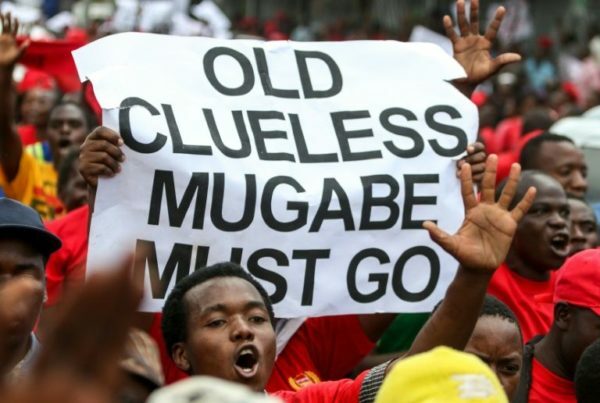 More than 2,000 of Zimbabweans have joined a protest against President Robert Mugabe in Harare. Zimbabwe’s opposition leader Morgan Tsvangirai called for countrywide demonstrations against the deteriorating economy. The march went ahead after a ruling by the High Court. Police had initially denied permission. It is the biggest such protest in many years. “Mugabe has no solution to the crisis. We are here to tell Mugabe and his regime that you have failed,” Morgan Tsvangirai said in a brief speech to supporters. “This is about jobs and improving the economy, which is in dire straits,” he added. Robert Mugabe has been in power since independence in 1980. The 92-year-old president remains active but his increasingly fragile health has sparked speculation over his successor and the direction the country will then take. Zimbabwe’s economy has struggled since a government program seized most white-owned farms in 2000, causing exports to tumble. Unemployment and poverty are endemic and political repression commonplace. Many Zimbabweans have left the country in search of work in South Africa. Zimbabwe’s opposition, the Movement for Democratic Change (MDC), has criticized the ruling party for hosting lavish 92nd birthday celebrations for President Robert Mugabe while swathes of the population face food shortages. The event reportedly cost almost $800,000. Robert Mugabe has dominated Zimbabwe politics since independence from the UK in 1980. The event, which was televised and featured schoolchildren reading poetry about the president, was held in the drought-stricken south eastern city of Masvingo. Robert Mugabe, accompanied by his wife Grace, released 92 balloons to kick off the event at the Great Zimbabwe monument, with tens of thousands of people attending. 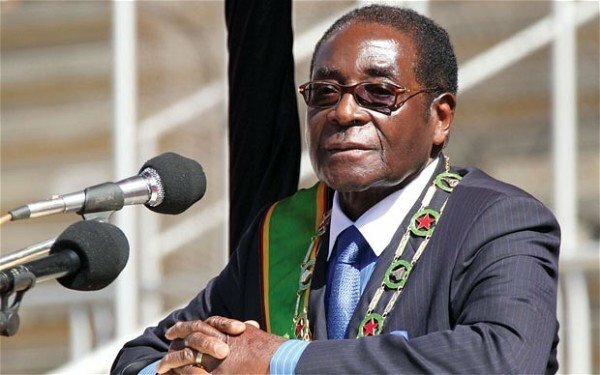 In a speech, Robert Mugabe attacked Western donors, and said he would not accept “rotten, filthy” aid if it was contingent on Zimbabwe accepting same-gender marriages, the government-owned newspaper the Herald reported. The MDC said the celebrations were “ill-conceived”. Money used for the event should be used to import maize “to avert the impending starvation” in Masvingo and other areas, said Obert Gutu, a MDC spokesman. The UN’s World Food Program said food production had fallen by half compared to a year earlier, because of severe drought. The government said about three million people were food insecure and earlier this month it asked for nearly $1.6 billion in aid. Obert Gutu said the ruling Zanu-PF “should be utterly ashamed” for hosting the costly celebration while “more than 90 %of Zimbabweans are wallowing in grinding poverty”. However, a youth leader for the ruling Zanu-PF party defended the birthday celebrations. “Money is not the issue here,” Pupurai Togarepi told the Reuters news agency. Zimbabwe has faced severe economic challenges in recent years, which critics blame on policies including the seizures and redistribution of white-owned farms in 2000. Hyper-inflation left its currency worthless and required the use of foreign currencies for most transactions. 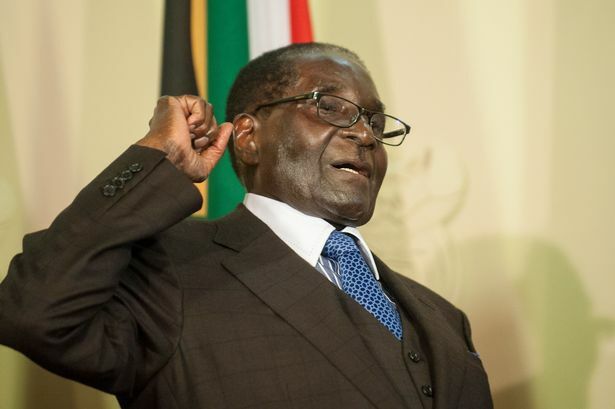 Robert Mugabe has blamed Zimbabwe’s economic troubles on Western meddling. Zimbabwe’s Vice-President Emmerson Mnangagwa has submitted to parliament a speech that President Robert Mugabe was supposed to deliver a day after the 91-year-old leader accidentally gave the wrong one. On September 15, Robert Mugabe read a state-of-the-nation address he gave in August. The error has been blamed on a mix-up in the president’s office. It took Vice-President Emmerson Mnangagwa two hours to submit the correct version because of demands from opposition members of parliament for an apology. Today’s extraordinary session was called so that Robert Mugabe’s speech could be officially recorded. The state-run Herald newspaper has printed the speech in full. It says that the government plans to introduce legislation requiring senior public officials to declare assets as part of measures to tackle corruption. The speech mix-up has prompted questions from the opposition over whether President Robert Mugabe remains fit to lead. The state broadcaster had canceled its live feed of the opening of parliament on September 15 fearing further disruptions. Opposition members of parliament belonging to Movement for Democratic Change (MDC) reportedly kept quiet during the speech, as Zanu-PF supporters clapped at regular intervals. Robert Mugabe, who has been in power since 1980, is Africa’s oldest leader. President Robert Mugabe has read out the wrong speech at the opening of Zimbabwe’s parliament. The 91-year-old president gave the same one during his state of the nation address on August 25, when he was heckled by opposition members of parliament. Robert Mugabe’ss spokesman told the state-run Herald paper the error was because of a mix-up in president’s secretarial office. Tensions were high ahead of the speech and the state broadcaster canceled its live feed fearing further disruptions, correspondents say. At least six members of parliament from the opposition Movement for Democratic Change (MDC) received a text message from sender called “Death” warning them to behave. “Warning: Immunity ends in parliament… act wisely by not disturbing the proceedings of parliament,” the message on opposition MP Nelson Chamisa’s phone said. Before Robert Mugabe spoke, the parliamentary speaker also warned against disrupting proceedings. After Robert Mugabe began speaking, it was not long before it dawned on those present that they had heard it all before, our reporter says. During the speech, the MDC members sat quietly, while ruling Zanu-PF party supporters clapped at regular intervals, Reuters reports. Robert Mugabe made reference to Zimbabwe’s amending labor laws to protect workers from arbitrary termination of employment, efforts being made to stimulate investment and the country registering modest growth in tourism and agriculture, our correspondent says. The first time Robert Mugabe read the speech opposition members of parliament sang protest songs against his 10-point plan to solve the country’s economic crisis. Presidential spokesman George Charamba said the error in delivering the wrong speech was “sincerely regretted”. George Charamba added that President Robert Mugabe would read the correct speech later at a hotel in the capital Harare, Reuters reports. Zimbabwe’s President Robert Mugabe has blamed foreign “vandals” for the killing of the country’s most famous lion, Cecil. The president has also said his compatriots failed in their responsibility to protect Cecil. Cecil the lion was killed last month by American dentist Walter Palmer. Robert Mugabe said Zimbabweans should protect their natural resources from what he called foreign “vandals”. 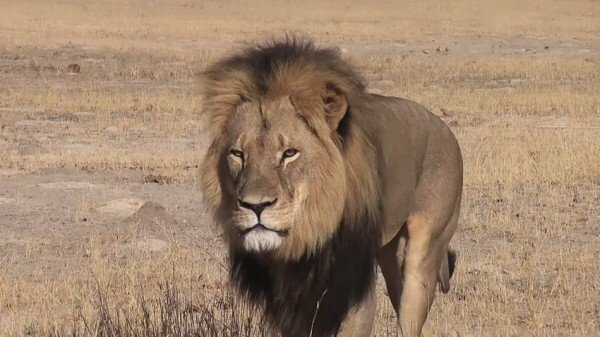 Cecil – a favorite at Hwange National Park – died after he was shot by Walter Palmer using a bow and arrow. The dentist from Minnesota has said he believed the hunt was legal. It is thought Walter Palmer paid about $50,000 to hunt 13-year-old Cecil, who wore a GPS collar and was being studied by Oxford University for conservation purposes. Robert Mugabe used a speech in Harare to make his first public comments about the lion, whose death sparked international condemnation. The president said: “He was yours to protect and you failed to protect him. Prosecutors have said the lion was shot with an arrow after being lured out of its protected zone, and died from a bullet wound inflicted 40 hours later after it had suffered major blood loss. Zimbabwe is battling to curb illegal hunting and poaching which threatens to make some of its wildlife extinct. The country is seeking Walter Palmer’s extradition. Some commentators have criticized the attention that the death of an animal has received when the nation has endemic poverty and unemployment, and political strife and repression are commonplace. Much of Robert Mugabe’s speech was spent remembering those killed in the struggle for independence. Cecil the lion may be commemorated by a bronze statue at the entrance to Zimbabwe’s Hwange National Park in, where he lived, a Zimbabwe conservation group has announced. 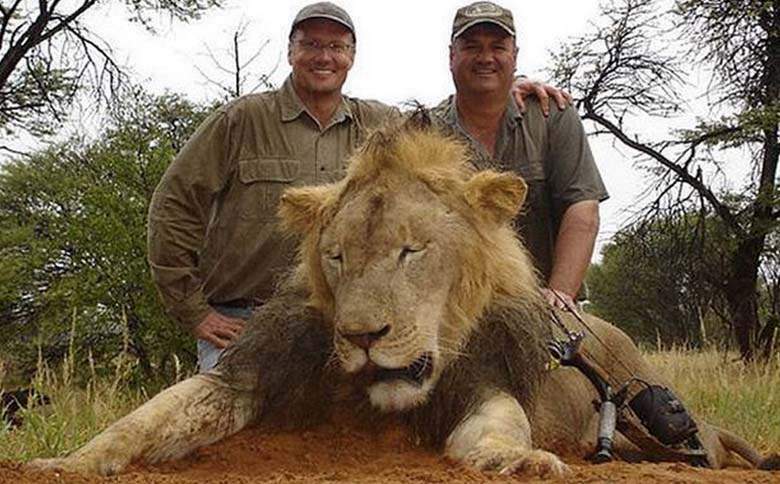 The lion’s death prompted worldwide outrage after being killed by American dentist Walter Palmer. Zimbabwe is now seeking Walter Palmer’s extradition. Cecil’s death made headlines around the world, and sent Walter Palmer into hiding. The famous lion was killed outside Hwange park using a bow and arrow. Walter Palmer says he thought the hunt was legal but two Zimbabwean men have been arrested over the killing. Cheryl Rodrigues of the Zimbabwe Conservation Task Force said people had already offered donations for the sculpture – the cost of which has not yet been confirmed. The Conservation Task Force has commissioned John Binder of Birds for Africa to make the statue and said it would be an “excellent reminder to all who visit the park”. John Binder, a metal sculptor for 24 years, said he was “a little bit thunderstruck” to be asked and when his wife Debbie found out she nearly fell over. “There’s a hell of a lot of pressure,” he said. His previous work includes statues of a pride of lions at a private game lodge in South Africa. Oxford University had been studying Cecil for lion conservation and John Binder said he was hoping researchers could tell him how much the lion weighed and his dimensions to make the sculpture as realistic as possible. Cheryl Rodrigues said it was not clear whether a permit would be needed from the park for the statue to be placed at the entrance. Some have criticized the plan, telling the organization on their Facebook page that it would be more beneficial to use the money to counter corruption and improve conservation. This is not the only legacy project afoot for the 13-year-old animal renowned for being friendly towards visitors. Earlier this week the conservation group’s chairman Johnny Rodrigues suggested Cecil’s head be mounted in a glass case. Walter Palmer, who killed Cecil the lion in Zimbabwe, had done nothing wrong and was a “good man”, AFP quotes Theo Bronkhorst, the Zimbabwean professional hunter who led the expedition as saying. Theo Bronkhorst made the remarks after his trial for failing to prevent a legal hunt was postponed. He said the case was “crazy” and the permits to kill Cecil the lion outside Hwange National Park had been obtained. 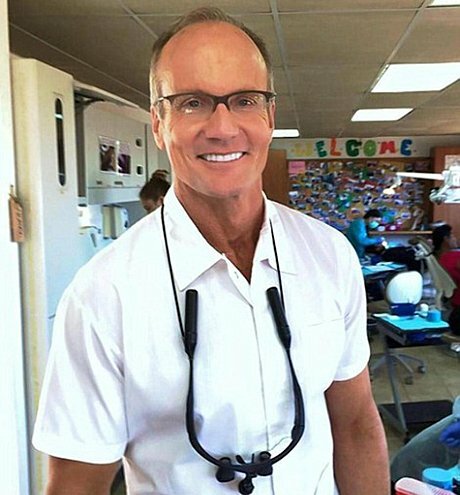 Cecil’s killing in July has caused outrage around the world and American dentist Walter Palmer is in hiding. Walter Palmer is believed to have paid about $50,000 to hunt down Cecil, a major tourist attraction at Hwange National Park – Zimbabwe’s largest game reserve. Zimbabwe’s Environment Minister Oppah Muchinguri has called for Walter Palmer to be extradited to face charges. As he was leaving the court in Hwange town, in north-western Zimbabwe, Theo Bronkhorst defended Walter Palmer. “I feel sorry for my client [Walter Palmer]. He is a good man. He did nothing wrong,” he told reporters. He added that was hunting was “integral” to the country and had to continue. “If we do not use wildlife sustainably there will be no wildlife,” Theo Bronkhorst said. When asked about his prosecution, Theo Bronkhorst said it was “crazy”. The head of Cecil the lion is wanted by a Zimbabwe conservation group to be mounted in a case in Hwange National Park, where he was killed last month. Johnny Rodrigues, chairman of the Zimbabwe Conservation Task Force, said the lion’s head was found in the home of Theo Bronkhorst, one of the co-accused. Cecil the lion was shot in July by American dentist Walter Palmer. Zimbabwe is seeking his extradition. 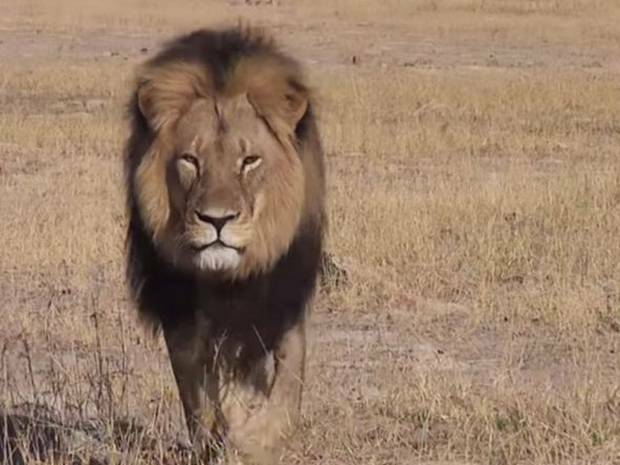 The lion’s death made headlines around the world, sending Walter Palmer into hiding. Johnny Rodrigues told the BBC the plan had been for the head to be sent to South Africa and then on to the US where Walter Palmer would be able to claim it. He said the Task Force would raise the money for Cecil’s head to be mounted in a glass case and would ask the Zimbabwe Parks and Wildlife Authority about the plan “once the dust had settled”. “Any tourist should be able to come and see the cause of all this turmoil around the world,” Johnny Rodrigues said. Johnny Rodrigues said he has been subjected to a torrent of abuse after speaking out against hunting following Cecil’s death. He said he had been accused of taking money from hunts, a claim he denied. “I hate hunting, I don’t believe in it,” he said. Cecil’s six cubs were being looked after by another lion, Jericho, according to Johnny Rodrigues. “We were expecting the worst and for the other male to come in and take the female and kill the cubs. But Jericho is doing a good job. American dentist Walter Palmer, who killed Cecil the lion in Zimbabwe, should be extradited to face charges, Zimbabwe’s Environment Minister Oppah Muchinguri has said. His extradition was being sought so that he could “be held accountable for his illegal action,” she said. Walter Palmer, from Minnesota, is believed to have paid about $50,000 to hunt the lion. He says he thought the hunt was legal and was unaware Cecil was protected. At a news conference in the capital, Harare, Oppah Muchinguri referred to Walter Palmer as a “foreign poacher”. “As we frantically try to protect our wildlife from organized gangs such as this one, there are people… who can connive to undermine Zimbabwean laws,” she said. “One can conclude with confidence that Dr Palmer, being an American citizen, had a well-orchestrated agenda which would tarnish the image of Zimbabwe and further strain the relationship between Zimbabwe and the USA,” Oppah Muchinguri added. She also said Walter Palmer’s use of a bow and arrow against Cecil was in contravention of Zimbabwean hunting regulations, Reuters reports. Two Zimbabwean men have been implicated in the death of the lion. A professional hunter has been charged with failing to prevent an illegal hunt – which he denies – and prosecutors are deciding on the exact charges the landowner should face. There has been a huge online backlash against Walter Palmer. The dental practice he runs in Minneapolis has been closed since he was named as the hunter who shot Cecil. On July 30, the White House said it would review a public petition to extradite the American dentist after more than 100,000 signed it. However, spokesman Josh Earnest said it was up to the DoJ to respond to any extradition order. Walter Palmer, who killed Cecil the lion in Zimbabwe, has apologized to his patients in Minnesota for the disruption caused by the anger directed at him. His dental practice in Minneapolis has been closed since the dentist was named as the tourist who shot Cecil, Zimbabwe’s most famous lion. 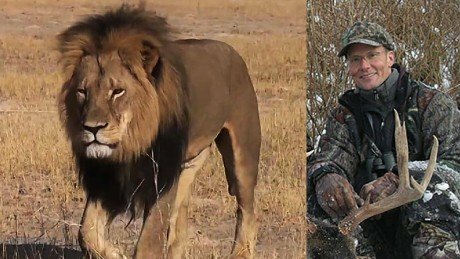 Two Zimbabwean men have been charged over the death and local police say Walter Palmer may also face poaching charges. The American dentist says he thought the hunt was legal and was unaware Cecil was protected. In a letter sent to his “valued” patients on July 28, Walter Palmer said he had been in the news “for reasons that have nothing to do with my profession or the care I provide for you”. He described himself as a “life-long hunter” but said he rarely discussed his passion with patients “because it can be a divisive and emotionally charged topic”. Echoing an earlier statement, Walter Palmer insisted that he thought the hunt was legal and said he would assist authorities in Zimbabwe or the US in their inquiries. Cecil, who was a major tourist attraction at Zimbabwe’s largest game reserve in Hwange National Park, is believed to have died on July 1, but the carcass was not discovered until a few days later. Walter Palmer is said to have shot and injured the animal with a bow and arrow. The wounded lion was not found until 40 hours later, when he was shot dead with a gun. The lion was later skinned and beheaded, according to the Zimbabwe Conservation Task Force (ZCTF), a local charity. The animal had a GPS collar fitted for a research project by Oxford University that allowed authorities to track its movements. The hunters had tried to destroy it but failed, according to the ZCTF. 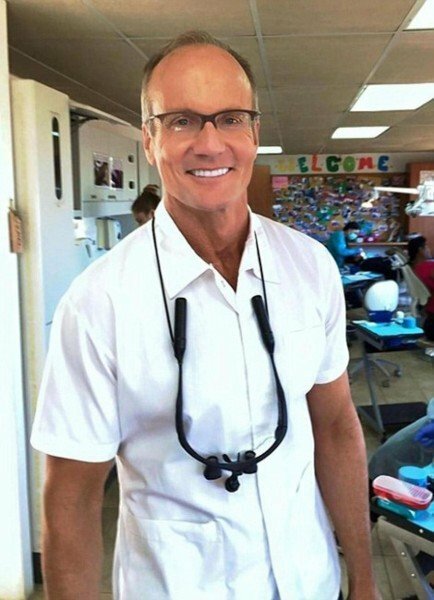 Walter Palmer’s dental practice has closed its website and social media accounts since his identity was revealed after thousands of people flooded them with angry comments. A protest was held outside the building on July 29. About 100 protesters, both adults and children, stood around holding posters that had messages like “Justice for Cecil”, “Trophy hunters are cowards” and “Prosecute poachers”. Protesters chanted “Extradite! Extradite!” Walter Palmer was nowhere to be seen. Two women from the Minneapolis-based Animals Rights Coalition said they organized the protest to raise awareness about animal cruelty. On July 29, professional hunter Theo Bronkhorst pleaded not guilty to a charge of “failing to prevent an unlawful hunt” at a court in Zimbabwe’s capital Harare. Theo Bronkhorst was granted bail of $1,000 and ordered to appear in court again on August 5. His co-accused – farm owner Honest Ndlovu – will appear at a later date. Walter Palmer is believed to have paid about $50,000 to go on the hunt in Zimbabwe. He is well known in the American hunting community. In 2006, he was found guilty of killing a black bear outside an authorized zone in the state of Wisconsin and lying to authorities about it. He was fined $3,000. Walter Palmer has visited Zimbabwe for hunting trips in the past and one image posted online in 2010 shows him posing with a leopard he killed. Zimbabwean hunter Theo Bronkhorst, who is accused of helping American dentist Walter Palmer kill Cecil, one of Africa’s most famous lions, has been released on bail. Theo Bronkhorst pleaded not guilty to a charge of “failing to prevent an unlawful hunt”. He was granted bail of $1,000 and ordered to appear in court again on August 5. His co-accused – farm owner Honest Ndlovu – will appear at a later date. Walter Palmer, who shot Cecil the lion, has left Zimbabwe but could also face charges. The American dentist said he paid for the hunt, but was not aware of the lion’s identity. Walter Palmer said he regretted shooting the animal, and believed he was on a legal hunt. He had relied on professional guides to find a lion and obtain the necessary permits, he added. Theo Bronkhorst and Honest Ndlovu could face up to 15 years in prison if found guilty. 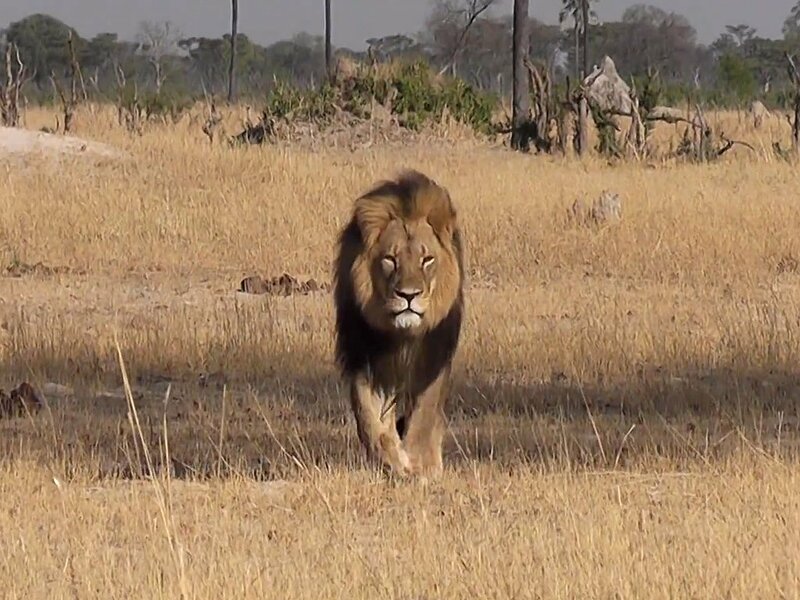 Cecil is believed to have died on July 1st, but the carcass was not discovered until a few days later. Walter Palmer is said to have shot and injured Cecil with a bow and arrow. The wounded lion was found 40 hours later, when he was shot dead with a gun. Separately, court records have shown that Walter Palmer has a felony record in the US after killing a black bear in the state of Wisconsin in 2006. Walter Palmer was given a one-year probation and fined $3,000, having shot the creature outside an authorized zone and then tried to pass it off as having been killed elsewhere. He is believed to have paid about $50,000 to go on the hunt in Zimbabwe. More than 400,000 people have signed an online “Justice for Cecil” petition, calling on Zimbabwe’s government to stop issuing hunting permits for endangered animals. Walter Palmer insists that he believed his guides had secured “all proper permits” for the hunt. “I relied on the expertise of my local professional guides to ensure a legal hunt,” he said in a statement on July 28. Walter Palmer said he had not been contacted by authorities in Zimbabwe or the US but would “assist them in any inquiries they may have”. The dentist is believed to be back in the US, although his exact whereabouts are unknown. His dental practice in Bloomington, Minnesota, has been temporarily closed and a note placed on the door referring visitors to a public relations firm. A protest is due to be held outside the building later. The practice’s social media accounts have also been disabled, after they were flooded with messages from angry members of the public. Cecil the lion was skinned and beheaded, according to the Zimbabwe Conservation Task Force (ZCTF), a local charity. The ZCTF said the hunters had used bait to lure him outside Hwange National Park during a night-time pursuit. Cecil had a GPS collar fitted for a research project by UK-based Oxford University that allowed authorities to track its movements. The hunters had tried to destroy it but failed, according to the ZCTF. Walter Palmer is under heavy criticism from conservationists and animal lovers following allegations that he paid $50,000 to go on a hunt in Zimbabwe. The American dentist was identified on July 28 by The Telegraph as the hunter who paid $50,000 to kill Cecil the lion, one of Africa’s most famous lions, earlier this month. In Zimbabwe, hunters can pay $50,000 to kill a trophy lion. Zimbabwean police are searching for Walter Palmer, who shot the protected lion with a crossbow, the Associated Press reported. After The Telegraph’s report that Walter Palmer was responsible for Cecil’s death, his name quickly started trending worldwide on Twitter. Users are also sharing several photos from Walter Palmer’s other hunts. They also tweeted death threats and began sharing the contact information for Walter Palmer’s dental practice, River Bluff Dental. Meanwhile, a petition calling for “justice” has already been signed by more than 12,000 people. Two Zimbabweans are due to appear in court over the killing of Cecil, the country’s most famous lion shot by American dentist Walter Palmer. Professional hunter Theo Bronkhorst and farm owner Honest Ndlovu, are charged with poaching offences for not having the required hunting permit. Walter Palmer shot the animal with a crossbow and rifle outside Hwange National Park. Police say Walter Palmer, who claims he was unaware of the lion’s identity, could also face poaching charges. Theo Bronkhorst and Honest Ndlovu, who accompanied Walter Palmer on the hunt, will appear in court in Victoria Falls, and could face up to 15 years in prison if found guilty. Walter Palmer says he regrets shooting the well-known animal and believed he was on a legal hunt, saying he relied on professional guides to find a lion and obtain the necessary permits. Separately, court records have shown that the dentist has a felony record in the US after killing a black bear in the state of Wisconsin in 2006. Walter Palmer was given a one-year probation and fined $3,000, having shot the animal outside an authorized zone and then trying to pass it off as having been killed elsewhere. Records from the Minnesota Board of Dentistry also show that Walter Palmer was the subject of a harassment complaint which was settled in 2006. A receptionist alleged that the dentist had made comments to her. Walter Palmer admitted no wrongdoing and agreed to pay out more than $127,000. He said he had not been contacted by authorities in Zimbabwe or the US but would “assist them in any inquiries they may have”. Walter Plmer is believed to be back in the US, although his exact whereabouts are unknown. “Again, I deeply regret that my pursuit of an activity I love and practise responsibly and legally resulted in the taking of this lion,” he said. The dental practice run by Walter Palmer was closed on July 28 and a note was placed on the door referring visitors to a public relations company. The practice’s Facebook page was removed from the site after being besieged by angry comments and the company website was also taken down. Zimbabwe, like many African countries, is battling to curb illegal hunting and poaching which threatens to make some of its wildlife extinct. Cecil, a 13-year-old lion, was a major tourist attraction at Zimbabwe’s famous Hwange National Park. The animal is believed to have been killed on July 1st but the carcass was not discovered until a few days later. Walter Palmer is said to have shot Cecil with a crossbow, injuring the animal. The group did not find the wounded lion until 40 hours later, when he was shot dead with a gun. The animal had a GPS collar fitted for a research project by Oxford University that allowed authorities to track its movements. The hunters tried to destroy it, but failed, according to the ZCTF. The six cubs of Cecil will now be killed by the new male lion in the pride in order to encourage the lionesses to mate with him. About a century ago there were around 200,000 lions roaming across Africa but that figure has dropped to less than 30,000 in recent years. Hunting lions is legal in several countries in southern Africa, including Zimbabwe, but groups must obtain a valid permit from authorities. Zimbabwe’s ex-VP Joyce Mujuru has been expelled from President Robert Mugabe’s ruling party, Zanu-PF. 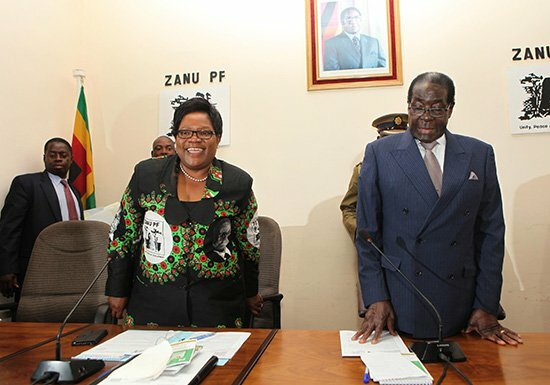 Zanu-PF said Joyce Mujuru had plotted to remove Robert Mugabe from office and brought the party into disrepute. Joyce Mujuru had been seen as a likely successor to Robert Mugabe but was sacked at the end of last year. She was accused of corruption and plotting to kill the president – allegations she denied. Robert Mugabe, 91, will have been in power for 35 years when Zimbabwe marks its independence from the UK later this month. The first lady, Grace Mugabe – who is now a senior figure in the Zanu-PF Party – has been very vocal against Joyce Mujuru in public. Joyce Mujuru fought alongside Robert Mugabe in the 1970s guerrilla war against white minority rule and was known as “Spill Blood”. Zanu-PF spokesman Simon Khaya Moyo said in a statement that the ruling party’s top decision-makers had agreed to Joyce Mujuru’s dismissal citing 10 reasons. These included plotting to remove Robert Mugabe from office, alleged corruption and bringing the party into disrepute – charges she has previously denied. “The politburo felt that she lacked the quality of strong moral principles, honesty and decency and therefore ceases to be a member of Zanu-PF,” Khaya Moyo said. Roebrt Mugabe has not publicly indicated a preferred candidate to take over his presidency. However, in December 2014, Robert Mugabe purged the government of several ministers, including Joyce Mujuru, and appointed Emmerson Mnangagwa as his deputy, making the former justice minister the favorite to succeed him. Didymus Mutasa, one of the sacked ministers and a former confidante of Robert Mugabe, was expelled from Zanu-PF earlier this year. Zimbabwe’s President Robert Mugabe has dismissed his vice-president, Joice Mujuru, after accusing her of plotting to kill him. Robert Mugabe also sacked seven other ministers allegedly involved in the plot, an official statement said. Joice Mujuru, once seen as a future possible leader, has denied plotting against the president. State media and Robert Mugabe’s wife, Grace, have conducted a campaign against Joice Mujuru for months. “President RG Mugabe has exercised his executive powers to release the Honorable Joice Mujuru… with immediate effect,” said a statement by government official Misheck Sibanda. Joice Mujuru’s conduct had been “inconsistent with the expected standard”, the statement added. Last week President Robert Mugabe denounced his vice-president. Joice Mujuru was also removed from her post in the ruling party Zanu-PF. She responded by saying her loyalty to Robert Mugabe was “unquestionable” and that it was “repugnant” to suggest she was intent on killing the president. Joice Mujuru fought alongside Robert Mugabe during the 1970s war against white-minority rule. 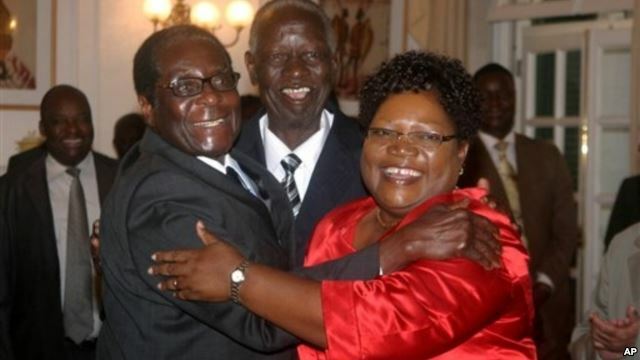 There had been speculation that Joice Mujuru might try to eventually succeed President Robert Mugabe. Zimbabwe’s President Robert Mugabe has spoken of his anger that his embattled VP Joice Mujuru allegedly plotted to assassinate him and accused her of being a thief. 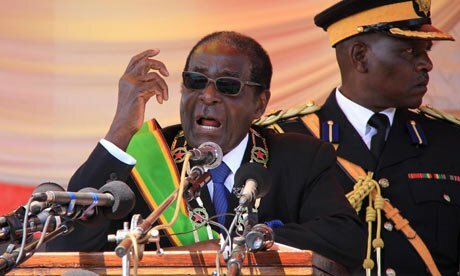 Speaking at the ruling Zanu-PF party’s congress, Robert Mugabe said he would act against all corrupt officials. Joice Mujuru’s absence from the congress showed she was “scared”, he added. She is also Vice-President of Zanu-PF. 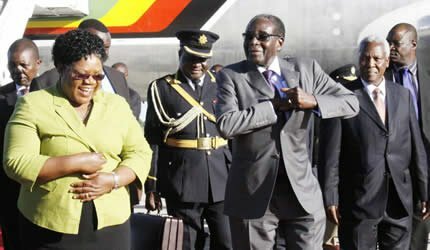 Robert Mugabe, 90, had targeted Joice Mujuru to advance the “fortunes” of his wife Grace, the former Zanu-PF spokesman added. Joice Mujuru, who has previously denied the allegations, had been seen as a potential successor to Robert Mugabe, with whom she fought for Zimbabwe’s independence from white-minority rule. However, her career ran into trouble when Grace Mugabe entered into politics this year, and accused her of plotting against her husband. The congress, being held in the capital Harare, is expected to elect Grace Mugabe as the head of Zanu-PF’s women’s wing. Robert Mugabe, who has ruled Zimbabwe since independence in 1980, will remain as Zanu-PF leader. He told thousands of delegates that he welcomed the fact that his wife had exposed Joyce Mujuru’s attempt to oust him. “Thieves never succeed… look at all the transgressions. Her corruption is now exposed,” Robert Mugabe said. Robert Mugabe, while speaking in the local Shona language, said Joice Mujuru planned to assassinate him but in English he only accused her of trying to have him “kicked out” by bribing delegates. “But you delegates are not foolish. You can’t be bought,” he added. Joice Mujuru was first accused in the state-owned media of plotting to kill Robert Mugabe and has instructed her lawyers to take legal action to clear her name. Correspondents say Justice Minister Emmerson Mnangagwa is now among the candidates being tipped to succeed Joyce Mujuru, her long-time rival. Joice Mujuru, 59, took part in the 1970s guerrilla war against white-minority rule when her nom de guerre was Teurai Ropa (Spill Blood). She married Solomon Mujuru, the former army chief seen as Zimbabwe’s king-maker in 1977. Solomon Mujuru died in a fire at his farm in 2011. Zimbabwean writer Chenjerai Hove has called on First Lady Grace Mugabe to hand back her PhD. 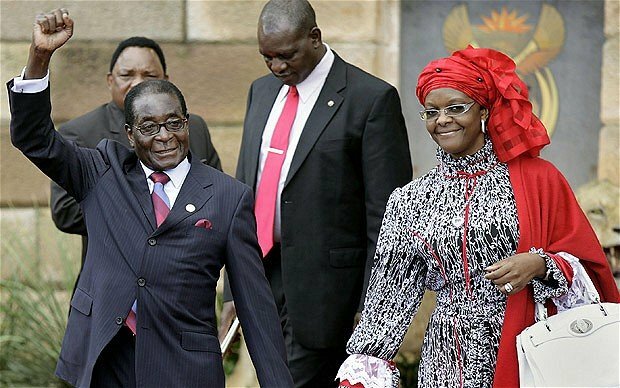 The wife of President Robert Mugabe was awarded a doctorate from the University of Zimbabwe last month. There has been confusion over when Grace Mugabe enrolled, with some sources saying it was only two months ago – and students want the issue investigated. The university authorities have not yet commented on the controversy. A graduate and faculty member of the University of Zimbabwe, award-winning novelist and poet Chenjerai Hove, who is living in Norway, said he had written to the vice-chancellor to demand an explanation. “I have lost the pride and prestige of being a former student of the university which you head since our academic degrees have now become a laughing stock,” Chenjerai Hove says in the letter. Chenjerai Hove’s remarks come as the Zimbabwe National Students Union prepares to file a court application on October 2 demanding that the University of Zimbabwe provide details about how the first lady came to be awarded the degree. Amongst the concerns expressed by students is the fact that the first lady’s thesis is not available in the university’s library, as would be usual. Grace Mugabe was awarded the doctorate in sociology by her husband – who is the chancellor of the university – at a ceremony on September 12 not long after she was endorsed to lead the governing Zanu-PF women’s wing. Chenjerai Hove, an outspoken critic of President Robert Mugabe’s government, said the university needed to be more transparent about the apparent fast-tracking of the first lady’s degree. Zimbabwe’s opposition party – Movement for Democratic Change (MDC) – says it is suspending its leader Morgan Tsvangirai, amid deepening divisions in its ranks. A statement issued by the party after a meeting in Harare accused Morgan Tsvangirai of a “remarkable failure of leadership”. It also said Morgan Tsvangirai had deviated from the party’s democratic founding principles. Morgan Tsvangirai, 62, lost a third election challenge to veteran President Robert Mugabe in 2013 and defied calls to stand down after this defeat. The MDC leadership is reported to have been riven with in-fighting for months since then. Several other senior party figures were also reported to have been suspended at Saturday’s meeting, and some suspended members to have been reinstated. The MDC statement said the party had been “transformed into a fiefdom of the leader” under Morgan Tsvangirai. It also accused him of sponsoring a culture of violence against MDC members not aligned with him. MDC Secretary General Tendai Biti, who spoke to journalists after the meeting, said Morgan Tsvangirai and some other senior officials had “betrayed” the MDC’s struggle, AFP reported. But an MDC spokesperson, Douglas Mwonzora, maintained that Morgan Tsvangirai remained the MDC’s legitimate leader. “This was not a national council meeting,” he told AFP. From 2009 to 2013 Morgan Tsvangirai served as prime minister in a fragile power-sharing government, with Robert Mugabe remaining Zimbabwe’s president. That unity government ended with the elections in July 2013. Robert Mugabe’s party won a huge majority in the vote, which Morgan Tsvangirai dismissed as fraudulent. 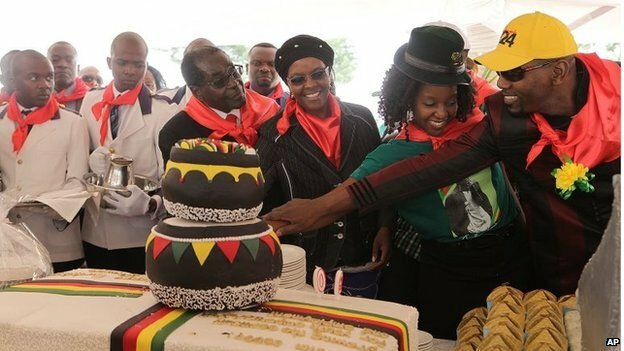 Zimbabwe’s President Robert Mugabe has celebrated his 90th birthday with a huge party at a Harare stadium. Thousands of Zimbabweans have attended the official 90th birthday celebration for the veteran leader. Robert Mugabe, who has been in power since 1980, released 90 balloons into the air at Marondera stadium, east of Harare. He turned 90 on Friday but was in Singapore for eye surgery at the time. Many schoolchildren were among the crowd, waving flags and chanting Robert Mugabe’s clan name. Huge cakes were on display in the centre of the stadium in Marondera, about 50 miles from Harare, while the crowd wore red scarves, as is traditional on the president’s birthday. In an hour-long speech Robert Mugabe said Zimbabweans did not hate former colonial masters the British, but loved their own country more. The cost of Robert Mugabe’s celebration – estimated at about $1 million – has prompted criticism in a country suffering from severe economic problems. Zimbabwe’s Constitutional Court has declared unconstitutional a law which makes it a crime to insult the president. Prosecutors should not be overzealous about charging people who comment about President Robert Mugabe “in drinking halls and other social places”, the highest court said. At least 80 cases have reportedly been filed in recent years under the law. In May, opposition activist Solomon Madzore was arrested for allegedly calling Robert Mugabe a “limping donkey”. 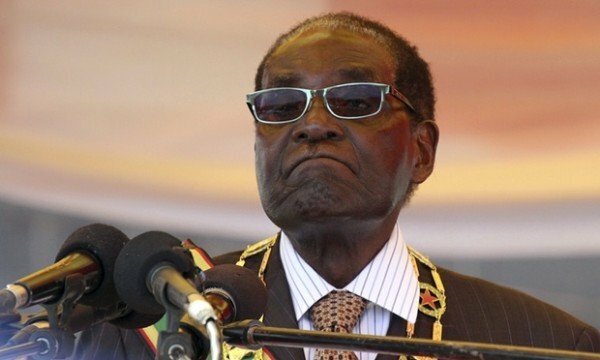 Robert Mugabe denied a charge of insulting the president. Under Section 33 of Zimbabwe’s Criminal Codification and Reform Act, a person could be jailed for up to a year or fined $100 for insulting the president’s office. The law was challenged by several Zimbabweans, including a resident of the southern city of Bulawayo, Tendai Danga, who was arrested two years ago for allegedly insulting Robert Mugabe during a row with a policeman in a bar. The court’s nine judges were unanimous in ruling that the law undermined freedom of expression, making it unlikely that the government will appeal against it. However, the court gave Justice Minister Emmerson Mnangagwa until November 20 to file an appeal. In August, a court acquitted a 26-year old man, Takura Mufumisi, charged with intending to use a poster of President Robert Mugabe as toilet paper in a bar. 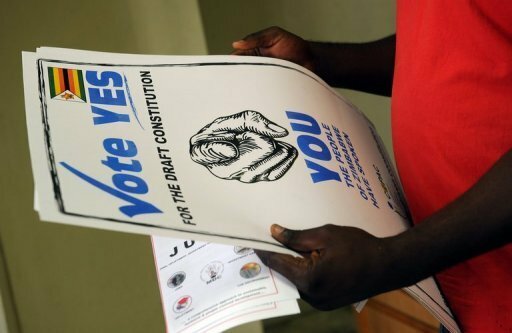 Zimbabwe approved a new constitution which expands civil liberties in a referendum in March. Many Zimbabweans have welcomed the court’s ruling, believing the law had insulated the president from criticism. Robert Mugabe, 89, extended his 33-year rule in elections in July. His rival Morgan Tsvangirai rejected the result, alleging it was marred by widespread fraud. The court also declared unconstitutional a law curtailing media freedom, following a challenge by a privately owned financial publication, Zimbabwe Independent. The state should not “penalize people who make false statements in good faith about a matter of public concern”, Deputy Chief Justice Luke Malala said. Zimbabwean law currently states that a person can be sentenced to 20 years in prison for publishing falsehoods. Southern African Development Community leaders have called for the European Union and US to lift all sanctions imposed on Zimbabwe after endorsing President Robert Mugabe’s win in disputed elections last month. Malawian President Joyce Banda said Zimbabweans had “suffered enough”. 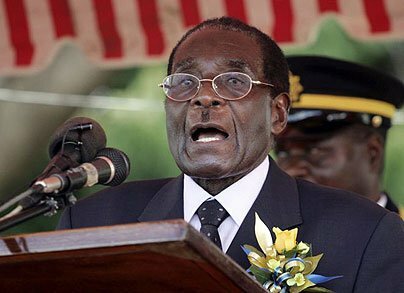 The EU and US imposed sanctions on Zimbabwe in 2002 after accusing Robert Mugabe of brutally cracking down on his opponents – a charge he rejected. Robert Mugabe, 89, is due to be inaugurated for a seventh term on Thursday. The EU has a travel ban in place against Robert Mugabe and nine other of officials of his Zanu-PF party and has sanctions imposed on two companies. The US also has a travel ban on Robert Mugabe and other top Zanu-PF officials, and has blacklisted companies linked to them from doing business with US companies. Robert Mugabe won with 61% of the presidential vote against 34% for Morgan Tsvangirai, the outgoing prime minister and leader of the Movement for Democratic Change (MDC) party. On Friday, the MDC dropped plans to challenge Robert Mugabe’s victory in court, alleging it would not get a fair hearing. The MDC had alleged that the poll was marred by widespread fraud, a view rejected by African Union (AU) and other international observers. Ending a meeting of the Southern African Development Community (SADC) in the Malawian capital, Lilongwe, on Sunday, regional leaders said in a statement that “all forms of sanctions” imposed on Zimbabwe should be lifted following the holding of “free and peaceful” elections. “I believe Zimbabwe deserves better, Zimbabweans have suffered enough,” said Joyce Banda, Malawi’s leader and incoming chairperson of the 15-nation regional body. In a further display of support for Robert Mugabe, regional leaders appointed him as the next SADC chairman and said the group’s next annual summit would be held in Zimbabwe, AFP news agency reports. The EU described last month’s election in Zimbabwe as generally peaceful, but said it was concerned about alleged irregularities. In March, the EU suspended sanctions against 81 individuals and eight entities in Zimbabwe after hailing a referendum to approve a new constitution expanding civil liberties as credible and peaceful. However, it kept sanctions in place against two firms and 10 top officials, including Robert Mugabe. Zimbabwe did not invite the EU and the US to monitor the elections, with Zanu-PF accusing them of bias. The US described the vote on July 31 as “deeply flawed” and did not regard the results as a credible expression of the will of Zimbabweans. The MDC has said that more than a million voters were prevented from casting their ballots – mainly in urban areas considered to be its strongholds, allegations backed up a 7,000-strong group of local observers, the Zimbabwe Election Support Network. Allies of President Robert Mugabe have dismissed the allegations of voting fraud and accused Morgan Tsvangirai of being a bad loser. Robert Mugabe’s victory heralded the end of the power-sharing government he formed with Morgan Tsvangirai in 2009 under pressure from regional leaders following elections marred by violence and allegations of rigging. Robert Mugabe has governed Zimbabwe, a former British colony until 1964, from independence in 1980. 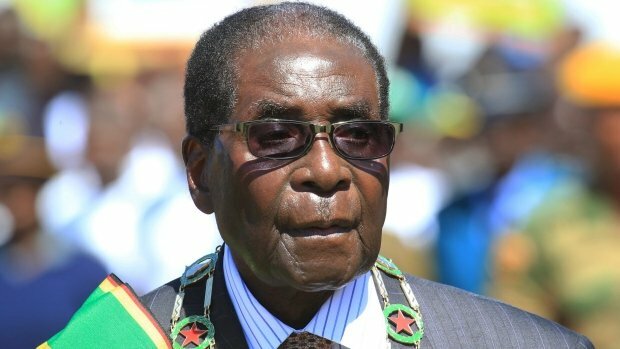 Zimbabwe’s presidential election winner Robert Mugabe has launched a stinging attack on his opposition rivals in his first public speech since he won the disputed poll. Rejecting PM Morgan Tsvangirai’s claims that the vote was stolen, he said those against him could “go hang”. Morgan Tsvangirai’s Movement for Democratic Change (MDC) boycotted the speech. The MDC has lodged a legal challenge against the result of the “stolen election”, demanding it be rerun. Robert Mugabe won 61% of the vote in the election on 31 July, while Morgan Tsvangirai came second with 35% and Welshman Ncube third with 3%, according to official results. The president’s Zanu-PF party also gained a parliamentary majority of more than two-thirds, winning 160 of the 210 seats. In his Heroes’ Day speech, which dealt with a series of national issues, Robert Mugabe focused at one point on his election victory and called for celebrations. “Those who lost elections may commit suicide if they so wish. Even if they die, dogs will not sniff their corpses,” he said. Non-governmental organizations had been used to rig elections in 2008, he claimed, but Zanu-PF had never stopped planning since then and had “buried thieves in our midst”. Robert Mugabe’s main rival Morgan Tsvangirai won the first round of the 2008 presidential vote, but official results said he had failed to win outright. He later pulled out of the second round because of attacks on his supporters, and eventually a power-sharing agreement was worked out. Heroes’ Day is Zimbabwe’s proud annual celebration, when the country remembers those who died during the 1970s fight for independence. Robert Mugabe was speaking at National Heroes’ Acre, the monument in the capital where some of those killed are buried. Morgan Tsvangirai earlier called for calm, saying there was no national celebration for the day but rather “a nation in mourning”. In a statement, published by the NewsDay newspaper, Morgan Tsvangirai said the majority of Zimbabweans were “still shocked at the brazen manner in which their vote was stolen”. The MDC’s boycott of the national commemoration has exposed the deep rifts at the heart of this troubled country, our correspondent says. 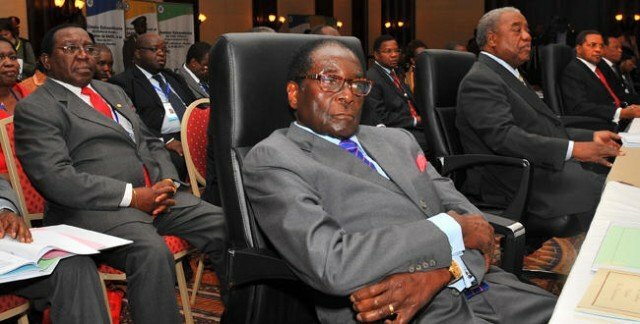 Robert Mugabe has not yet been sworn in for a seventh consecutive term, since the appeal is ongoing. He maintains that he and Zanu-PF won free and fair elections. The MDC has said it has “strong evidence of electoral irregularities”, including bribery, abuse of “assisted voting”, and manipulation of the electoral roll. African and regional monitors praised the poll for being peaceful but noted some irregularities. But a local observer group, the Zimbabwe Election Support Network (Zesn) and its network of 7,000 observers, said that about one million voters – mainly in urban areas – were “systematically disenfranchised” by being omitted from the voters’ roll or turned away. The nine-member Constitutional Court is expected to discuss the complaint this week. It has up to two weeks to deliver its verdict. But with several judges being supporters of Robert Mugabe, few expect the MDC challenge to bear fruit. In a separate development on Sunday, state radio reported that the ministry of mines had denied a report in the Times newspaper that it had agreed to sell Iran uranium for its nuclear programme. A ministry statement was quoted as stressing that the report was “a malicious and blatant lie”, and that no export licenses had been issued. Iran’s foreign minister has also denied the report. Zimbabwe starts voting in key referendum on a new constitution, amid simmering political tensions. Both main parties – Zanu-PF and the MDC – are urging their supporters to back the constitution, which would pave way for new elections later this year. The polls could end a shaky power-sharing deal between the rival parties following a disputed vote in 2008. Campaigning for the referendum was marred by an attack on an MDC politician in the capital, Harare. Sten Zvorwadza, who hopes to become the next Movement for Democratic Change (MDC) lawmaker for the city’s Mbare suburb, was punched as he tried to put up posters on Friday. Although no-one was seriously injured, the incident is a reminder of the violence lurking close to the surface in Zimbabwe. On Tuesday, a Zanu-PF official was injured after his house was petrol-bombed by unknown assailants in Makoni district, in north-eastern Zimbabwe. And in February, the 12-year-old son of an MDC activist died in an alleged arson attack in the eastern farming district of Headlands. Polls across Zimbabwe opened at 07:00 local time and are due to close at 19:00. In Mbare, the scene of Friday’s violence, more than 100 people were queuing outside a polling station as it opened, Reuters news agency reports.Under the new constitution, the president who wins the election, expected to be held in July, will be able to serve a maximum of two terms.Incumbent President Robert Mugabe, who has the backing of Zanu-PF, and MDC leader Morgan Tsvangirai, who is currently serving as prime minister, are both expected to compete for the presidency again. Robert Mugabe, 89, has been in power since independence in 1980. Zanu-PF spokesman Rugare Gumbo said the president wanted people to vote peacefully. “He said we should not have violence and added that the party will not tolerate that nonsense whether it is intra-party or inter-party. He wants the people to vote in peace,” Zimbabwe’s state-run Herald newspaper quotes Rugare Gumbo as saying. Analysts say the constitution is seen as a compromise document. Western and US observers have been barred from monitoring the referendum, but some 2,000 local and other foreign observers have been accredited for Saturday’s vote, the Herald reports. The Zimbabwe Election Support Network (ZESN), a network of 31 non-government organizations whose head office was raided by police in February, is deploying about 600 observers.